MEXICO CITY — A former chief of the Honduran national police says the government has mounted a “crude setup” by fabricating and leaking documents to implicate high-ranking officers in the assassination of two top antidrug officials, adding a new twist to a scandal that is peeling back the collusion between drug traffickers and the police. The former chief, Ramón Sabillón Pineda, a police general, has taken to television airwaves and appeared voluntarily before the prosecutor investigating the documents to assert that the plot — and the extent of corruption in the nation’s institutions — is even larger than the papers suggest. “Evidence has been planted, which is common in institutions that are permeated by organized crime,” said Mr. Sabillón, who led the police for 11 months before being dismissed in November 2014. The controversy stems from the assassination of the nation’s antidrug czar as he drove to work in 2009, only months after the Honduran president was ousted in a coup. Two years later, the antidrug czar’s senior adviser was killed in the same way, a grisly example of the tight grip traffickers hold over the country. He accused the government of handing control of the security forces, including the police, to the military in an effort to shore up control as President Juan Orlando Hernández seeks re-election. In response to the documents, Mr. Hernández appointed a commission last week that he put in charge of purging the police. Late Thursday, the commission recommended that Mr. Sabillón, along with a police chief named as a chief conspirator in the documents, Ricardo Ramírez del Cid, be suspended during the investigation. Ebal Diaz, an adviser to the president, told Honduran reporters that Mr. Sabillón had been suspended for criticizing the government on television. Mr. Hernández said during his announcement that “the prosecutor has no other option but to call all the ministers, police directors and officers to testify,” and he asked for a new anticorruption mission backed by the Organization of American States for its support in the case. The debate over whether the police should fall under civilian or military control emerged from the creation of a military police force by Mr. Hernández after he took office early this year, fulfilling his main campaign promise. The police “are uncomfortable with my proposal,” Mr. Hernández said during a recent television interview. The rest of the police generals named in the reports, including Mr. Ramírez, have also argued that the reports were fabricated for political ends. A series of arrests in recent years suggest just how high drug trafficking has reached inside the government. Last year, the son of Mr. Hernandez’s predecessor as president, Porfirio Lobo, was arrested with a drug shipment in Haiti in a joint operation by the Drug Enforcement Administration and the Haitian police. A few months later, Jaime Rosenthal, a former vice president, and his nephew Yankel Rosenthal, who served as investment promotion minister in the current government, were named in a United States indictment accusing them of laundering drug money through their Banco Continental for the Rivera Madariaga crime family. 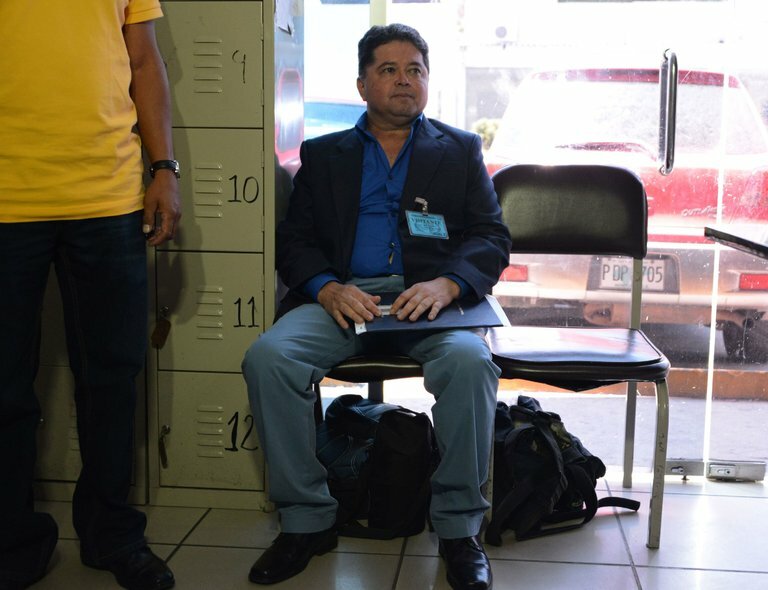 Wilfredo Méndez, director of the Honduras Center for Research and Promotion of Human Rights, said the release of the police papers indicated a power struggle. Though they happened years ago, the assassinations rattled the country again this month after the documents surfaced. They were first obtained by a Honduran newspaper and then by The New York Times. About two dozen police officers are named in the documents, from the highest-ranking officials to lower-level officers who mounted the traffic stops that allowed motorcyclists to pull up alongside the antidrug officials’ cars and shoot. But Mr. Sabillón said that the documents failed to expose the broader involvement of political figures beyond the police force. By focusing only on the traffickers’ infiltration of the police, Mr. Sabillón argued, the documents divert attention from the drug gangs’ collusion with the nation’s political elite. “In Honduras, drug trafficking is politics,” Mr. Sabillón said. Mr. Sabillón said he had testified at the attorney general’s office about the links between organized crime and politicians. “With all the formalities, I handed over important documents to the prosecutor that involve political personalities in organized crime,” he said. The leaked documents do not suggest that Mr. Sabillón had any role in the assassinations. But they do indicate that he was aware of the documents and asked for them to be kept under guard. He argued that his signature was faked, and that he did not have the authority at the time to make such a request. He said the documents had been written later by someone in the police force.